Samsung's smartphones once succeeded on hardware performance alone, but those days are over. 2013 was supposed to be the year in which Samsung blew away the smartphone competition. It wasn't. Now, 2014 looks to be a soul-searching year for the Korean tech giant. 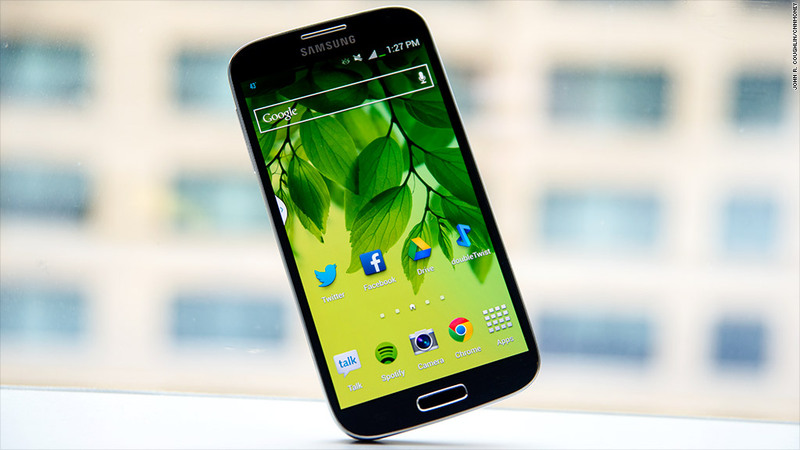 Samsung's flagship smartphone, the Galaxy S4, has been a disappointment in every regard. Samsung hyped up the phone to be a world-beater, but the Galaxy S4 turned out to be just a modest improvement over the previous year's Galaxy S3. That's something Samsung's own execs regret, and they are now trying to set more modest expectations for this year's Galaxy S5 launch. Sales of the S4 were okay. It was last year's best-selling Android phone but still sold well below the company's -- and Wall Street analysts' -- expectations. Though Samsung still remains the smartphone market leader, it failed to gain any share in 2013, halting its meteoric rise of the past several years. That has hurt Samsung's bottom line: In the fourth quarter, Samsung said its profit fell year-over-year for the first time since 2011. Every other smartphone maker, meanwhile, was able to produce a phone that was just as fast, powerful, and capable as Samsung's top smartphone -- with a higher quality design and better system software. Suddenly, there was very little to distinguish Samsung from the pack. For the first time, the cracks are beginning to show in Samsung's mobile strategy. Samsung's main recipe for mobile success over the past few years has been to release as many profit margin friendly products as it can possibly muster. Samsung has sold Galaxy-branded phones in every imaginable size and shape. Some are good and some are bad, but none are ever truly great. When Samsung began its smartphone ascension in 2010, it succeeded because it was able to more easily and cheaply manufacture components than the vast majority of its competitors. It had faster chips, better displays, and more powerful cameras than any device not named the Apple (AAPL) iPhone. Its smartphones weren't particularly beautiful, but they were thin and light and inoffensive. Samsung's software and services, on the other hand, have always been the company's weak point, offering a clunky, unattractive experience that is laden with useless, gimmicky features. But Samsung was able to get away with bad software because few other companies could deliver the sheer power that Samsung phones offered. Last year, however, the smartphone spec wars ended. All smartphones are basically good enough, and far less people are concerned with bigger screens or more megahertz. All the best smartphone makers have gotten creative -- the beautiful design of the HTC One, the impressive camera of the Nokia (NOK) Lumia 1020, the useful little tricks of the Google (GOOG) Moto X and the revamped iOS software on the iPhone made all of those devices more interesting than the Galaxy S4. With superior hardware guts taking a back seat, the Galaxy brand is in search of something to hang its hat on. 2014 isn't off to a great start: At this year's Consumer Electronics Show, Samsung unveiled the unnecessarily large 12-inch Galaxy Tab Pro and the bargain Galaxy Tab Lite, neither of which will likely bolster the Galaxy brand. Samsung's new "Magazine" user experience for tablets is a welcome change but not radically different in concept from what Microsoft (MSFT), HTC or Flipboard have been doing with their products -- and it's not anywhere as good either. Samsung needs more than just marketing hype. Consumers have caught on that many of the flashier features in Samsung's products are just that - flash. Its products now need substance that make it more than just another high-end Android phone in a sea of high-end Android phones.